James R. Copland joins City Journal editor Brian Anderson to discuss President Trump’s impact on the federal courts, the appointment of Supreme Court Justices Neil Gorsuch and Brett Kavanaugh, and the diversity in conservative judicial philosophy emerging today. The director of legal policy at the Manhattan Institute, where he is a senior fellow, James Copland has written and spoken widely on how to improve America’s civil- and criminal-justice systems. “Toward a Less Dangerous Judicial Branch,” his article (coauthored with Rafael A. Mangual) assessing Trump’s court appointments, appears in the Winter 2019 issue of City Journal. Brian Anderson: Welcome back to the 10 blocks podcast. This is your host, Brian Anderson. I'm the editor of City Journal. 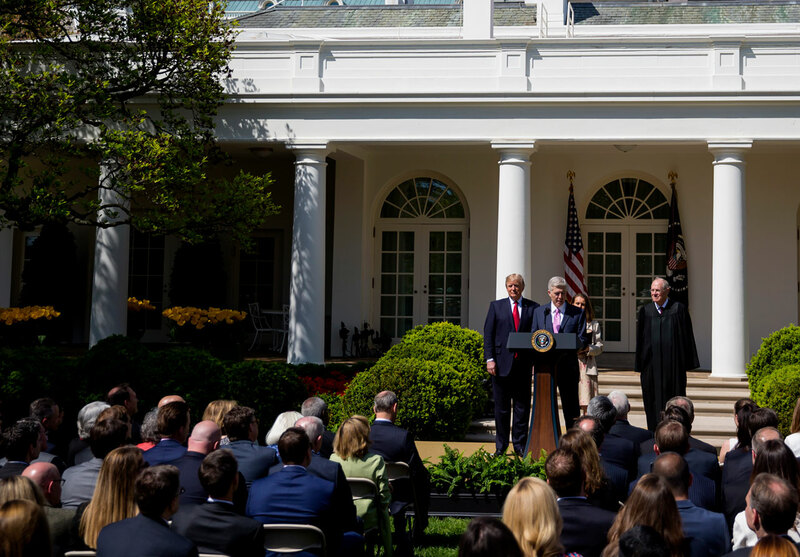 Two years into office, President Trump has already filled to Supreme Court seats with justices Neil Gorsuch and Brett Kavanaugh, creating the first conservative majority on the nation's highest court in a half century. To talk about how the Trump administration is reshaping the federal courts will be joined today by James Copeland, his piece in the new Winter 2019 issue of City Journal. Coauthored with Ralf Mangual, who's called "Toward a Less Dangerous Judicial Branch." It will be up in the website this weekend, so I hope you check it out. Our conversation with Jim begins after this. Hello again everyone. Brian Anderson: This is Brian Anderson, the editor of city journal. Joining me on the show today is Jim Copeland. 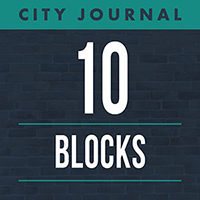 Jim is a senior fellow and director of legal policy at the Manhattan Institute and his essay in the Winter 2019, issue of City Journal, coauthored with Ralf Mangual, is called "Toward a Less Dangerous Judicial Branch." Jim, thanks very much for joining us. Jim Copland: Thanks for having me. Brian. Brian Anderson: We have two new conservative justices on the US Supreme Court, as I mentioned in the introduction and as everyone knows, but before we get to them, how is the trump administration doing in getting judges approved to the other federal courts and maybe give a breakdown of the different courts, you know, disposition to non lawyers. Jim Copland: Sure. It's an important point to point out and as we point out in our, our piece that everyone's very focused on the judiciary, the Supreme Court as the highest score of the land, the ultimate court of appeals. The court being the most important and two of nine justices is a large percentage of the supreme court given two years. And that these are lifetime appointees. But when you look at the lower courts, particularly we wanted to focus most on the U.S. Court of Appeal, which are in effect, the last court of appeal in a lot of cases we hear, hear about the hot, a hot button issues that go before the US Supreme Court. But there are tens of thousands of filings annually through the federal appellate courts. The supreme court's only going to issue a merits ruling on 70 or 80 a year. So by and large, most cases are decided at the U. S Court of Appeals and the Trump administration has focused on this. They've been very successful with a Republican majority in the Senate. Of course, Harry Reid ended the filibuster for these judicial confirmations to expedite confirmations under the Obama administration. So Mitch McConnell has been very, very aggressive and trying to make sure that the committee, the judiciary committee, expeditiously moves through the nominees that the Trump administration is putting forward. And through the end of November, what we looked at in our piece, the Trump administration had successfully appointed, had gotten Senate confirmation for 29 out of the possible 166 authorized active judgeships in the 12 regional courts of appeal, which is a high percentage. And by comparison, if you look at Barack Obama, at the same point in time in his presidency, he'd gotten 11 confirmations, George W Bush 12, Bill Clinton a little more success with the Democratic Congress there with 19, so relative to recent peers, the Trump administration hasn't done very well at getting these appellate judges confirmed. Now the district court judges the trial judge's, not quite as fast a pace a little faster than Obama through the end of November. It was 53 out of, out of all the district court judgeships available, which is more than the 30 that Barack Obama got that little bit of a slower pace than we saw for Bush and Clinton. But clearly these appellate court judges have been prioritized and I think that's the right strategy. And the administration has been very successful there. Brian Anderson: Your essay looks at the different approaches to constitutional interpretation of these judges. And it's not a kind of uniform approach. Maybe you could say a little bit about that to our listeners. There's at least two different strands of constitutional interpretation, right? Jim Copland: So as we, as we pointed out in our piece, the conservatives or right-of-center a judges and scholars aren't monolithic in their approach. Now, none of these judges and justices that the Trump administration is picking are likely to be a paradigms of the progressive model reading the tea leaves of society evolving mores of decency, and these sorts of a really progressive types of approach to reading the constitution. But really the evolution of thought here on the right, has, has changed somewhat over time. And by that I mean the early sort of critics of the Earl Warren court that were dramatically expanding the scope of legal rights. Those of us who were critical of that would suggest in ways that were really untethered from the constitution's text instructor in history. They were focused on judicial restraint. Alex Bickel in his famous book, "The Least Dangerous Branch," which is sort of the, the going off place for our title, focuses on the counter majority and difficulty of having these unelected judges resolving policy questions. And that sort of school of thought evolved and evolved into the, the originalism, uh, that we think of as predominant on the right. Articulated clearly by Robert Bork, who was a professor at Yale, the Solicitor General, a DC circuit judge and ultimately unsuccessfully nominated to the court, of course in 1987 by Ronald Reagan in sort of the really launching pad, the modern judicial confirmation fights. I'm Bork like Bickel was very much in this restraint model, but, but some scholar subsequently, including Randy Barnett at Georgetown Law School, have developed a more judicial engagement sort of approach that, that says, well, the, the original constitution and was fairly active and wanting to limit the federal government and had a lot of sort of libertarian property rights and economic principles in particular, but not limited to those, uh, in the actual text and history as it was understood at the time. And so this current of originalism, has gained more favor. It's still a minority view. And that's what we see when you look at the actual judges at these quarter of appeals level appointed by, by president trump. You see folks like Don Willett, formerly of the Texas Supreme Court, who's very much in this judicial engagement sort of mindset that Barnett has articulated and really sort of took on a little bit the chief justice's approach, which is more of a restraint approach, like Chief Justice Roberts on the US Supreme Court, in some of his opinions. And so we talk about that a little bit here. There's not a single way that all the judges can be expected to behave, except all of them are going to be looking significantly at the constitution history, instructor and text, in trying to discern what it means, not just looking at evolving notions of morality in society or what have you. Brian Anderson: Moving onto the new Supreme Court Justices, Gorsuch and Kavanaugh, they've both attracted an enormous backlash is, again, everyone knows from the left, Kavanaugh's hearing caused a really, perhaps unprecedented firestorm. Even going back to the Bork bork hearings. Maybe you can tell our listeners a little bit about the background of these two judges, how they fit into that scheme you just laid out and what we know about their work on the bench to date. And as an extension of that, what does the conservative majority on the court mean for the court itself and for the country going forward? Jim Copland: Yeah, I mean, both of these judges have a lot of similarities in, in one respect. I mean, they were contemporaries at Georgetown Prep. All of us probably learn more about Georgetown prep than we ever wanted to know in the Kavanaugh all hearings if we were following it, but this sort of tony Catholic private school in the DC area. Neil Gorsuch, a couple of years younger than Brett Kavanaugh, at the time. His, his mother was actually the EPA administrator, administrator under Ronald Reagan. He went on to study at Harvard, did extraordinarily well there. Got a to PhD at Oxford, has written a lot of really thoughtful work in judicial philosophy, uh, and, and, but, but his, his most of his public career and as judging has been sort of out in the hinterlands out in Colorado, the so called flyover country. And you can see that coming through somewhat in his opinions. Jim Copland: Brett Kavanaugh, whose mother was a judge whose father was, was a lawyer and a lobbyist in the, in the DC area, went onto to Yale and Yale law school and then has been sort of a creature of DC, worked in the Bush administration. The second Bush administration, worked under Ken Starr and has been a fixture really on the DC circuit court of appeals where he's really influenced the body of law, not only among his colleagues on the DC circuit, but at the supreme court level. I think if you look for a common thread with these two justices, apart from a sort of the, the obvious history and the comportment that they have, et cetera. It would be that both are skeptics of what, what I call the administrative state. I wrote about that in the summer issue of, of the City Journal. Jim Copland: And both of them have been skeptical of some of these supreme court opinions that have enabled bureaucrats in the executive branch in Washington really to make and shape the law as well as just enforce it. And really sort of neutered the power of Congress that the founders intended to be a vested with, with law making. So, so what I would expect from these two justices in particular, uh, some intellectual leadership on the court for how do we a claw back at some of these judicial opinions, uh, that have have really facilitated this behemoth in the regulatory state in Washington. And, and we see some cases coming down the pipeline in this term that may give us an idea of where they're going to go there. Brian Anderson: Final question, more court seats, Supreme Court seats could open in the next two years. It's certainly not inconceivable giving president Trump a further selections. Who are the leading candidates in your view? If that happens? Jim Copland: It's hard to know, uh, other than what we can sort of discern from the, the, the last search process. But they may be looking at different things. Uh, the Senate is a little bit more Republican now. Although the Democrats took the house, Republicans picked up a little ground in the Senate. The battle will be even more pitched if that's conceivable. You suggested that this is the, uh, the outset you suggested this is the first conservative majority. Well, that kind of depends how you count. Anthony Kennedy, a lot of people, he's a, he's a swing voter, so to speak, on the court on some of the gay rights decisions and abortion decisions. He certainly came down with a more progressive justices, but on a lot of cases as he was, he was a Reagan appointee and a lot of cases. He was fairly conservative so it wasn't a huge tipping of the court, uh, to, to, to fill the Scalia and Kennedy seats if Ruth Bader Ginsburg seat, uh, were to come available on the other hand and, uh, it, it would dramatically change sort of the look of the court. A lot of these five-four decisions might become six-three decisions and the chief justice wouldn't have the ability to sway the outcome at the other five justices were voting in a certain direction. So I'm one, I would keep an eye out for sure if it were the Ginsburg seat as Amy Coney Barrett, who comes out of Notre Dame, again, coming out of the sort of fly over country, but, but an exceptional academic pedigree clerked for Justice Scalia, uh, in gender to bit of a firestorm when she was appointed to the court of appeals when Feinstein talked about the dogma within her, referring to her deep Catholic faith. Of course, given that, and given that she's written on Stare Decisis, which is where the court, draws on its own precedents, the forces supportive of Roe v Dot Wade would be aggressively against her. The flip side of that is though I think some of the issues that surface during the Kavanaugh hearing, I would be extremely unlikely to surface for a female nominee. Uh, you wouldn't be able to, it would be very unlikely to suggest that a female had been involved in something, and someone certainly with Barrett's pedigree involved in something that was alleged, the sorts of thing that we saw with Kavanaugh and Thomas, so I would keep an eye out for, but she's certainly not the only nominee on the last short list. And I think any of the ones that have been talked about would be very strong nominees for the court. Brian Anderson: Don't forget to checkout Jim's excellent piece from the new issue toward a less dangerous judicial branch. It will be out this weekend on our website, www.city-journal.org. You can follow Jim Copeland on twitter at @JamesRCopland. We would also love to hear your comments about today's episode on twitter @CityJournal. 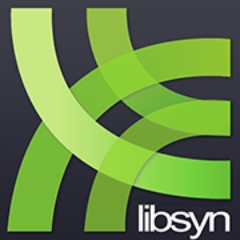 Lastly, if like our show and want to hear more, please leave ratings and reviews on iTunes. Thanks for listening and thanks Jim for joining us.